It's in Tozeur that I had a date with Dates at the Eden Palm 'oasis'. 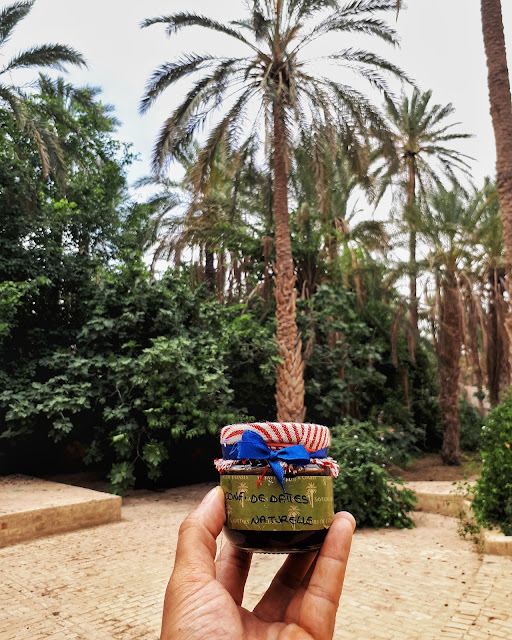 I learned that Dates are the fruit of a palm tree, I had no clue to be honest, and that it had a huge influence on the history of trading around the Mediterranean. Very interesting to learn that palm trees are integrated in many powerful ancient symbols because of its significance in that time.